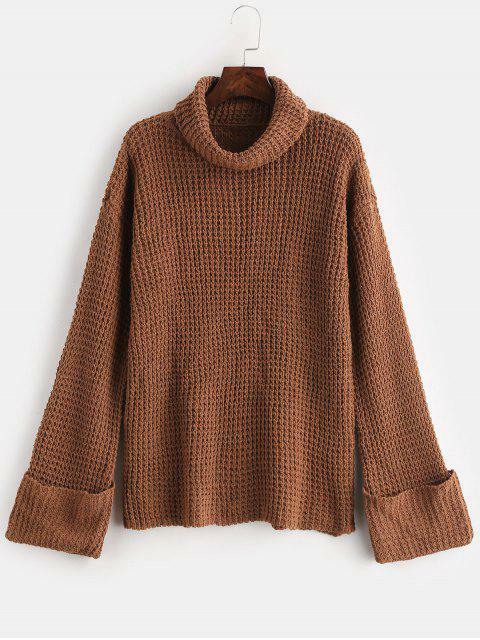 [37% OFF] 2019 Cuffed Openwork Turtleneck Sweater In LIGHT BROWN | ZAFUL ..
Love this sweater so much. Thinner than I expected but fits great. 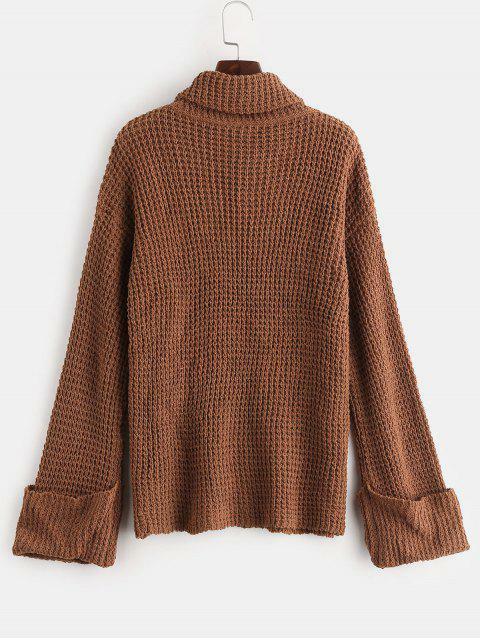 The jumper drops from a turtlecollar to a languid shape with cuffed detailing for ease. 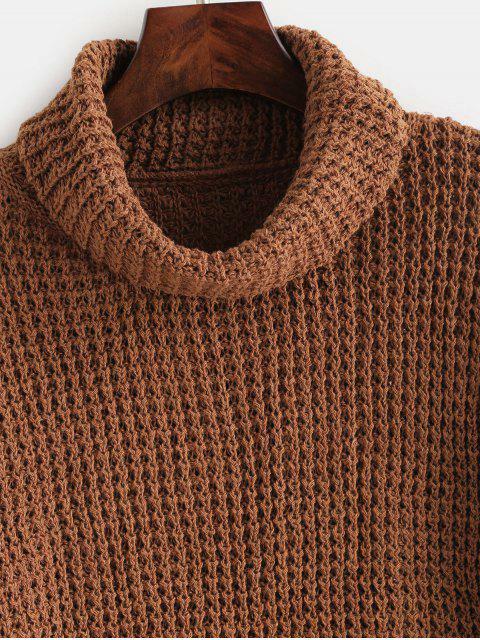 For the freshest take, layer yours over checked wide-leg trousers, grounding on trainers or ankle boots.